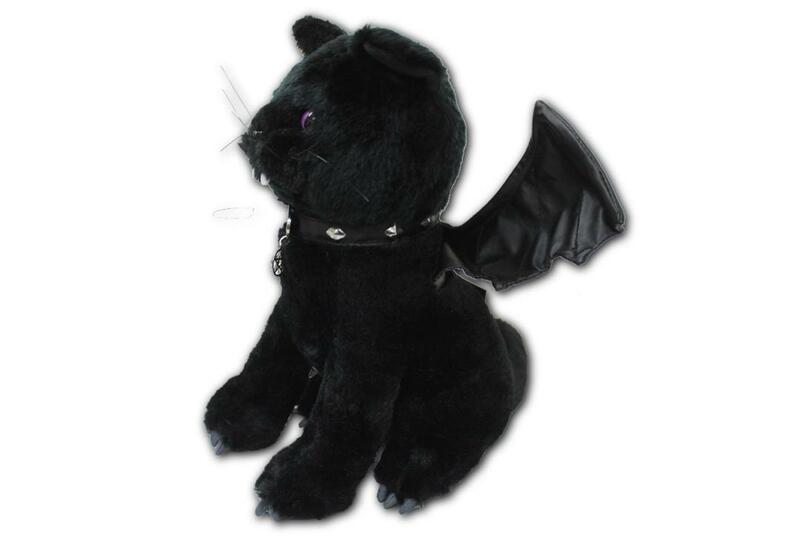 Bat Cat Plush Toy - A fang-tastic new plush toy from Spiral Direct. This little cutie has pose-able wings and the cutest vampire gnashers. He's even got a pentagram on his collar. 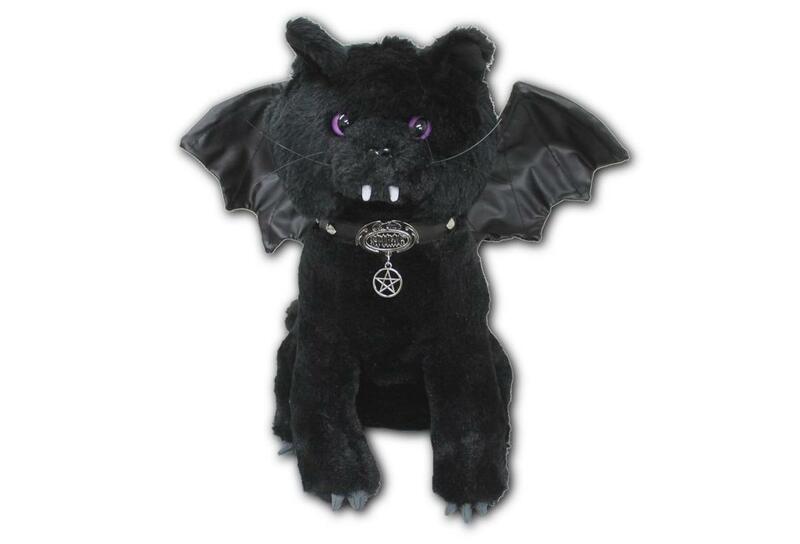 Cuddle up in your coffin with this kitty and 'Count' your blessings each morning when you wake up to see his fuzzy fanged face and beautiful violet eyes. 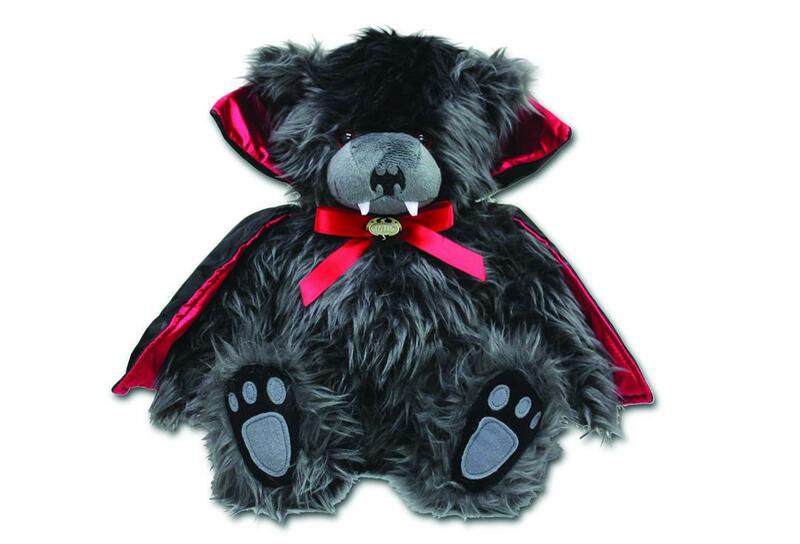 The ‘Children of the Night’ can’t be without this furry friend by their side. 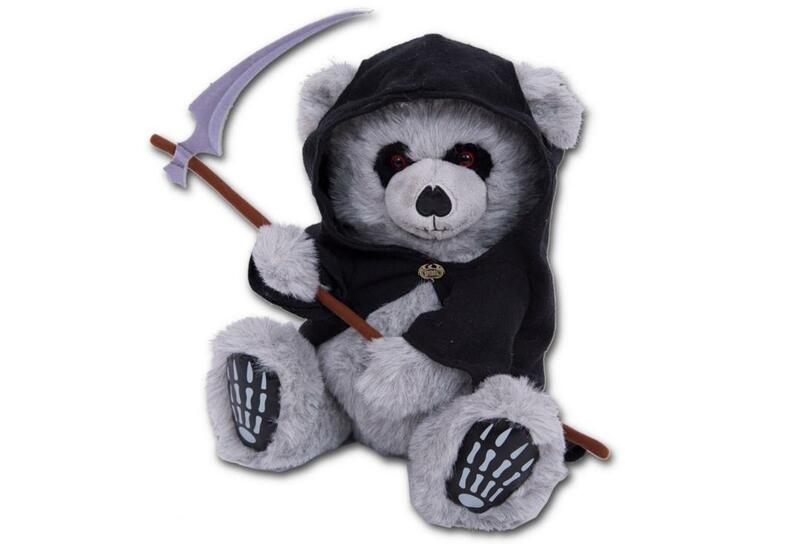 This collectable soft toy plush, measures around 12" high and comes in a little backpack style clear plastic bag. 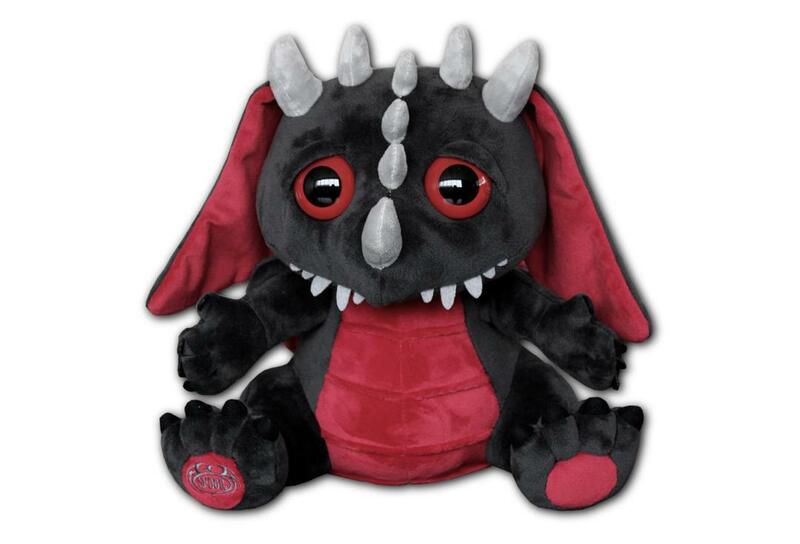 He is made from 100% Polyester and is NOT SUITABLE FOR BABIES & TODDLERS.